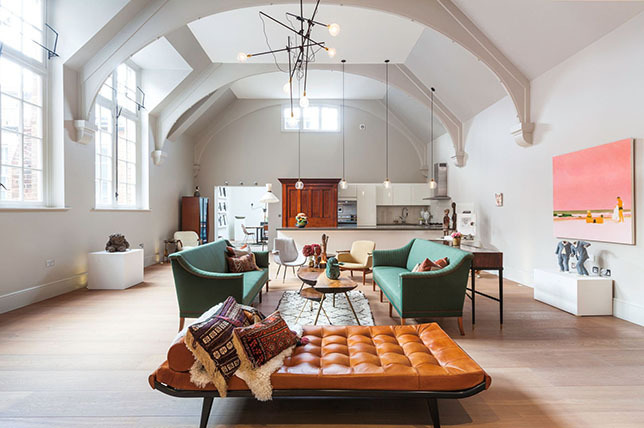 Because at this point we’ve almost all had enough with the masculinity and strict coldness of minimalism, our team of interior designers are finding themselves gravitating to the freedom of more eclectic interior design or at the least, warmer minimalism. To help you navigate often overwhelming eclectic interior design challenges and avoid potentially costly mistakes, we turned to Décor Aid interior designers to weigh in on common mistakes to avoid and quick fixes to inject warm, diverse, expressive style throughout your home seamlessly without running the risk of looking like a 90’s era apartment on Friends. To bring an eclectic mix together, our interior designers suggest starting with the foundation of a room, just like you would with any décor style. Trickier to achieve, it’s all too common to get caught up in a confusingly riotous mix of elements when attempting a modern hand at eclectic style. Before you begin, survey each of the major furnishings you would like to see in the space and carefully consider where they will be placed as this will work to help you accurately estimate the extra space you have for new finds while making sure that the room remains comfortable and inviting. 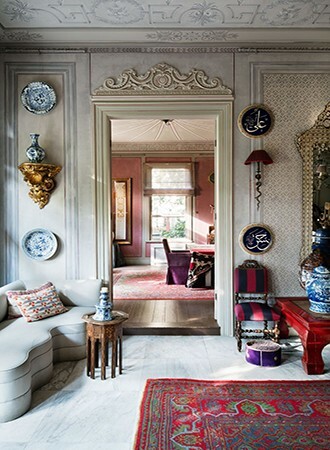 Since eclectic style is all about combining elements with wild variation, challenge your aesthetic limits by bringing in unexpected finds that even surprise you as this is one interior design direction that’s all about sophisticated fun and creating a truly unique space that looks like no one else’s. As eclectic interior design is all about experimenting with a mix & match philosophy bringing in various contrasting elements together, keep an open mind about the possibilities and don’t rush decisions. Once a space is filled with furnishings, that’s when you’ll really be able to survey the mix and see what works and what doesn’t. Plus, by keeping more radical statements limited to accessories like throws, art objects, rugs, and decorative pieces, you’ll have a much easier time switching pieces around to find balance to your liking. 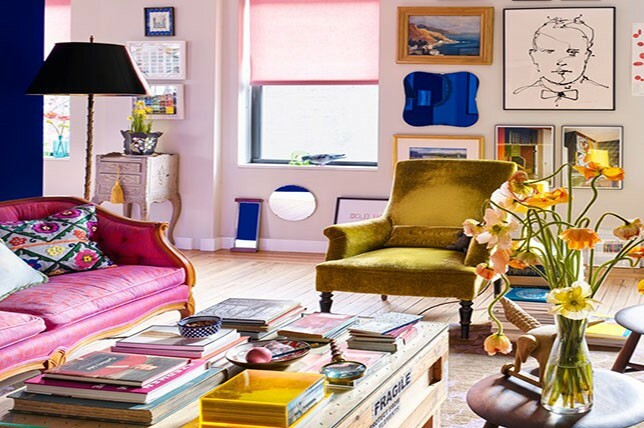 Though the spirit of eclectic interior design is intrinsically unique, it’s easy to get overwhelmed by the sheer freedom of the aesthetic and the limitless options to consider. To avoid a random feel, keep balance, symmetry, cohesiveness a common thread between every single furnishing and statement-making extra you select even if the finds are from different eras and design movements. We suggest creating a set limit of exactly how many varied elements feel right in your home to keep the edit well-layered yet tight. By choosing a concise main color as a starting point you’ll have a much easier time blending all of the various elements you come across together while having it serve as a go-to when considering adding new elements to your home. To keep clear of confusing color options, trust your instincts within your space as you should already have a quick grasp on how natural and artificial light will play off of them, as well as which hues will keep your space feeling larger and airy. No matter how large of a space you have to work, remember that you’re working on elevating your home, not a museum. Skip out on over the top extra’s and bring in objects you’ll actually use as a room boasting carefully considered yet beautiful decorative items will remain an easier to live in space rather than one filled to the brim with puzzling non-essentials. If you find yourself fixed on going full force with eclectic interior design, remember that you should carry elements of the aesthetic throughout your home if even in the smallest of doses to evoke a sense of visual harmony while avoiding a random feel. While eclectic interior design should be the perfect marriage of disparate elements brought harmoniously together through a carefully curated mix, it’s essential to utilize accent walls, substantial art pieces, and architectural elements as focal points to keep the design direction tightly focused.